All you need to do is upgrade your Library Membership card for free at your local library. You will be asked to bring two proofs of identity, one with your address, and to agree to new terms and conditions of membership..
Hollingbury Library has now closed and has been replaced by providing small collections at the Hollingbury & Patcham Children’s Centre and the Old Boat Corner Community Centre. The opening hours at Jubilee Library stays the same. 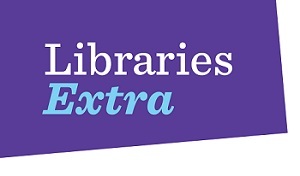 Libraries Extra days – self-service and access with Libraries Extra card and PIN only.